Other name: Common billberry, billberry. Blueberry can be seen growing wild on moorland and acid ground, including woods with open canopy in the temperate zones of Europe, Asia and North America. The site of its origin has not been determined yet. 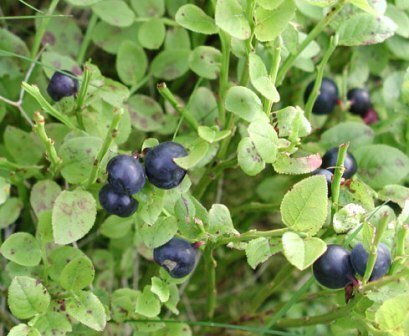 People have been using bilberry for food and also for medicinal purposes for centuries. This fruit is, however has never been under cultivation and people have been gathering the berries from wild only. 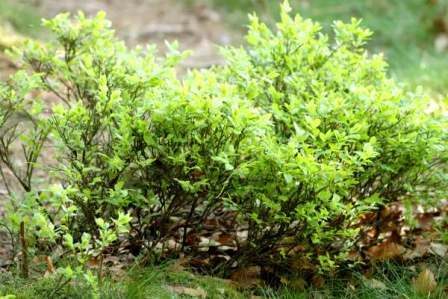 A low shrub of about 0.2 to 0.6 m in height, occurring in dense stands. Flowers small, greenish pink, waxy, solitary or in pairs. Fruit, a berry, small, 5-7 mm in diameter, pale red initially but bluish-black at maturity. Bilberry fruits are eaten fresh as dessert, often with ice cream. The fruits are also stored in freezers for later use. Both fresh as well as frozen fruits have a wide range of culinary uses. The fruitsused in confectionery as an ingredient and garnish for tarts. They are used for fruit salads, ices, sorbets, syrups, jams, jellies and liqueurs. Bilberries have an energy value of around 16 kcal per 100 g. They are rich in vitamin A and in purple pigments (anthocyanins) that act antioxidants and free radical scavengers. 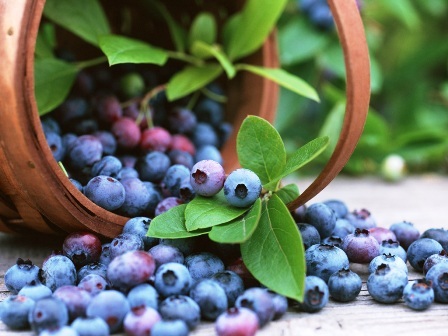 The vitamin C content is about 15 mg per 100 g.
Bilberry is not cultivated in orchards. All fruits come from wild plants only. Harvesting bilberry is a very large scale operation in spite of its being a very labour-intensive operation because of the small size of both the berries and the shrubs on which they grow.